UA student Edward Monteverde Jr. received a CDH Charitable Foundation Study Abroad Scholarship to live and learn in Germany this summer. Read on to learn about his experience. Why did you decide on this program? I chose to go to Germany because it is a great place for automotive engineering. 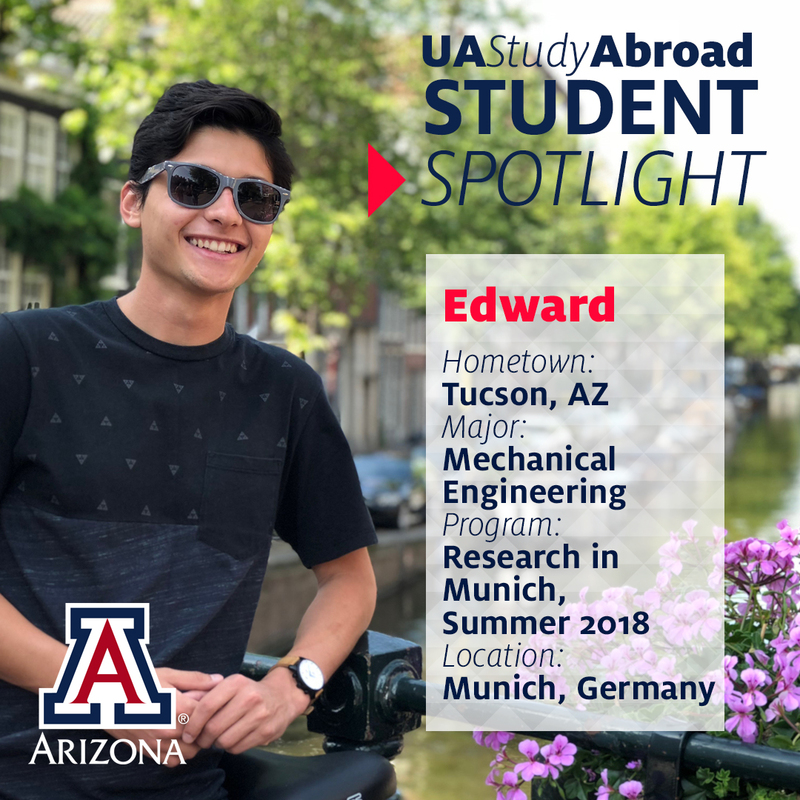 I chose the Research in Munich study abroad program because it had a great balance of traveling throughout Europe and gaining technical knowledge and experience in the engineering field. What is your best memory of the program? I got to ride in a Tesla on a test track, and on the straightaway my professor asked if I had any head or heart issues. As I was about to answer, he put the pedal to the floor and the car accelerated so quickly that I flew back into my seat laughing. The car felt like a rollercoaster. How do you think the program will prepare you for future professional goals? The program taught me many valuable skills in design, project development, and using resources to solve problems. I’ve also learned a tremendous amount about electric drive motors and modeling that will be beneficial to my future endeavors. I would like to travel to Spain if possible. There is something familiar, yet foreign about being in a country that speaks a similar language but has a completely different culture. Interested in other UA Study Abroad programs or countries? Start a search here.